Congratulations to Chief Caleen Sisk on winning the 2019 Anthony Grassroots Prize! Click here to learn more about her, the Winnemem Wintu Tribe, and her incredible work. The Anthony Grassroots Environmental Prize was established in 1999 by environmental activist Juliette Anthony. Every year, the Prize recognizes an outstanding example of grassroots environmental activism in California with a $1,000 cash award. 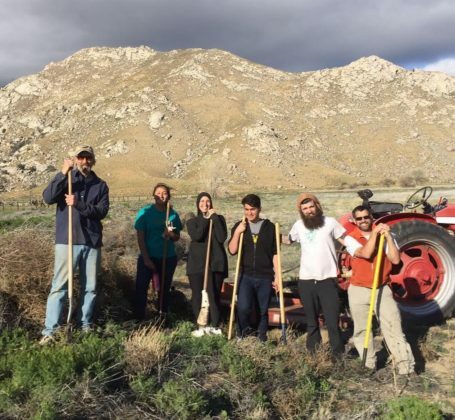 Recent winners of the Anthony Grassroots Prize include Chris Hwang, Regina Chichizola, Committee for a Better Shafter, Self-Sustaining Communities, Indigenous Permaculture, Concerned Weed Citizens, Community ORV Watch, Vecinos Unidos, and El Quinto Sol De America. Click here to read detailed biographies about past Anthony Grassroots Prize winners and their work. The Anthony Prize was established by environmental activist, Juliette Anthony. Currently working as a renewable energy legislative and regulatory consultant, Ms. Anthony has devoted most of her life to protecting natural habitats and promoting renewable energy. 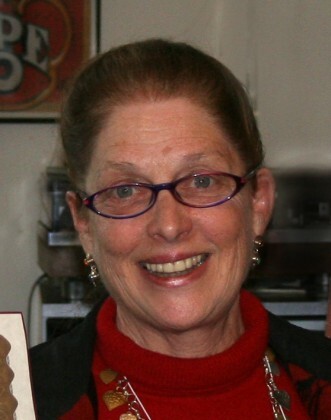 She is recognized for helping to prohibit a development in the Santa Monica Mountains which successfully resulted in the acquisition of the 2000 acre Ahmanson Ranch in 2005, and the 440 acre Soka University property (the former Gillette Ranch) in early 2005 for permanent dedicated open space. Ms. Anthony has been active in the alternative energy movement since 1991. Much of her current activism centers around researching and revealing the excessive financial and environmental costs of making ethanol from corn-based feedstock, and serving as an intervenor at the California Public Utilities Commission on Renewable Energy proceedings. Joining other activists, Ms Anthony also helped spearhead the effort to ban the use of the cancer-causing gasoline additive, MTBE. Juliette has served a leadership and activist capacity with a number of environmental groups, including Heal the Bay, Coalition for Clean Air, the Marin Chapter of the Audubon Society, the Sierra Club, and Communities for a Better Environment. She also serves on the Rose Foundation Advisory Board. In addition to environmental causes, her interest in economic justice led her to volunteer for many years at the Venice Family Clinic, Lieu-Cap Shelter for Women and Children in Venice, CA and CLARE Foundation. She was given two awards for Excellent Service by the Coalition for Clean Air and an Award for dedicated service at CLARE Foundation. Prior to devoting her life to activism full-time, Ms. Anthony was a Research Librarian at Harvard College Library, the New York Public Library on 42nd Street, the University of Virginia Library, and UCLA Theatre Arts Library. She also served as Film & Music Librarian at the Beverly Hills and Santa Monica Libraries. In 1969, she was named to Who’s Who in Library Science, and in 1974 to Who’s Who of American Women. She holds an A.B from Sweet Briar College, an M.A. from Brown University (Honorary Scholar) and an M.S. from Simmons Graduate School of Library Science (H.W. Wilson Company Scholar). Her publications include: Corn Ethanol: Unintended Consequences for California (2007); Healing Words: Affirmations for Adult Children of Abusive Parents (Ballantine 1991); Joint compiler: Henry James, An Exhibition Catalogue (University of Virginia Library, 1965); Robert Frost: Commemorative Exhibition Catalogue honoring his Birth (University of Virginia Library, 1965).